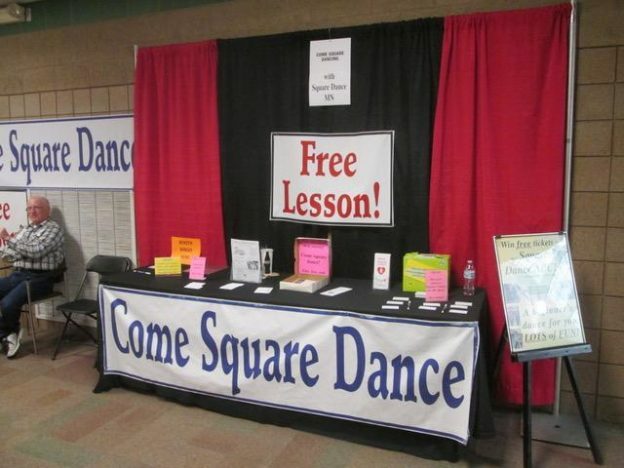 Longevity Expo | Square Dance Minnesota, Inc.
April 6, 2019 – Maple Grove Community Center “ABC” square dancing at the Longevity Expo, Caller Roger McNeil, Square dancing had a booth and room at the Expo. 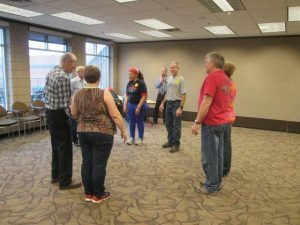 Let’s have a round of applause for the 52 square dancers who turned out to dance with the Expo attendees who wanted to try square dancing. All ages tried square dancing at the Expo. Some of the Expo attendees and angels. 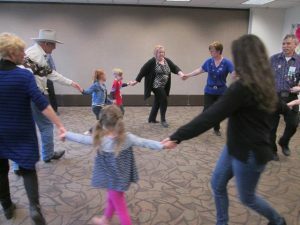 Caller Roger McNeil treated this group to the chicken dance!